There is so much to say about Stones Manor. The elegant front entrance welcomes you into this luxury neighborhood and its lifestyle. Stones Manor is located a mile and a half north of I-24 at Exit 8 on Rossview Rd. It is in the Rossview School District which is 2 miles away. For information on the schools check out the Clarksville Montgomery County School System website. 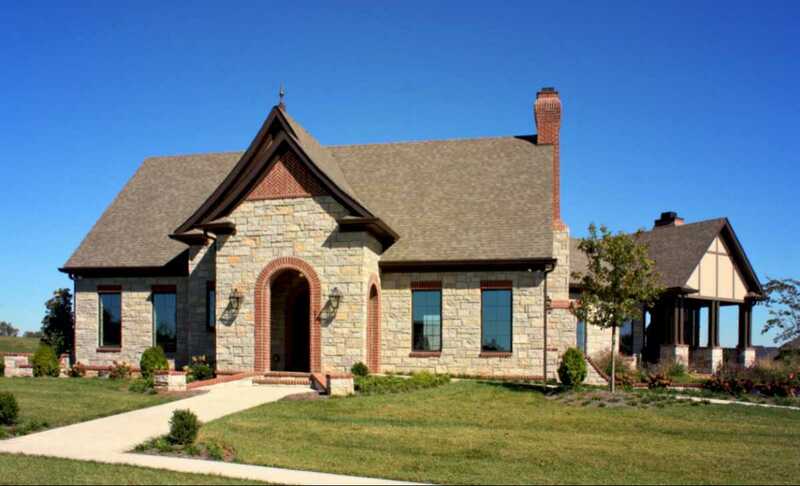 There are many reasons buyers choose Stones Manor as their neighborhood. The homes are beautiful, the streets and lots are gently rolling the homes are so beautiful. There is no vinyl siding in this neighborhood as homes must be constructed of brick, stone or stucco. 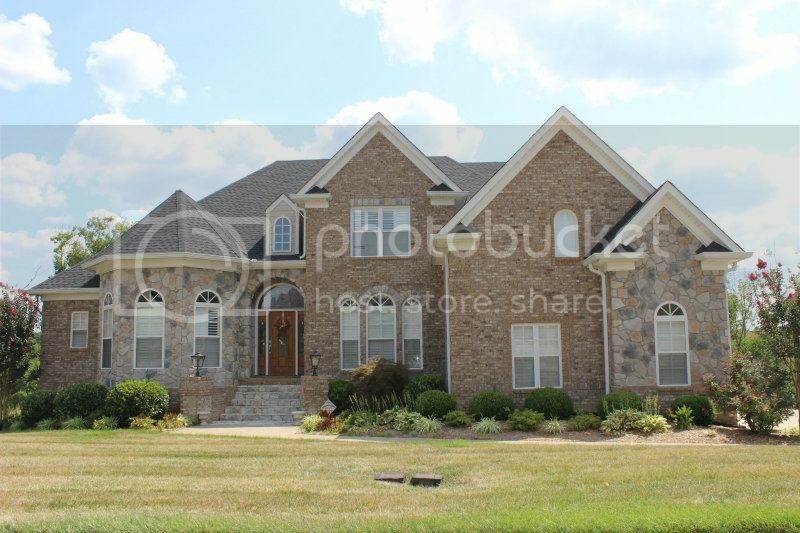 The lots sizes are not huge but they are generous and nicely support the custom type homes. 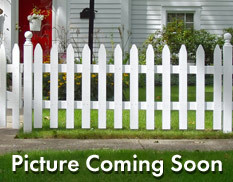 Square footage minimums are over 2000 making it a neighborhood with prices begining in the mid $300's. Some of the biggest homes are priced to one million dollars. There are no front entry garages allowed but acceptions can be made and approved if they make sense. Architectural standards ask for detail in the brick, matching mailboxes, steep roof pitches, decorative garage doors, lots of brick detail and tasteful landscaping. To see a full list of home requirements, contact Debbie Reynolds. The community amenities include the Manor House (the community clubhouse), a salt water swimming pool, open spaces and a pond. Walking trails are in the future plan as are the finishing of the parks. The pool is open from May to September and proves to be the gathering place for residents. The Manor House has many uses and may be reserved by homeowners for their private parties and events. 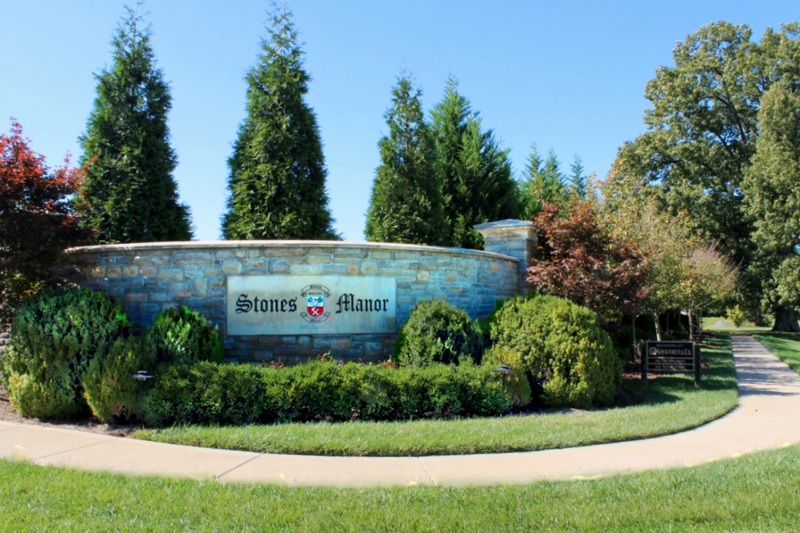 Stones Manor has a professionally managed HOA and the monthly fee includes trash pick up, grass cutting and trimming in front and back yards, maintenance of all common areas and use of the pool and clubhouse. To learn more about the HOA click here. Homeowners love the fact that the yards are cut on a regular schedule leavign time for the homeowenrs to enjoy doing other things. The gently rolling topography provides a peacefulcountry setting and gives owners a nice place to walk and get some fresh air. This is a pet-friendly neighborhood and homeowners may install underground fencing or aluminum, decorative fencing in their backyards. 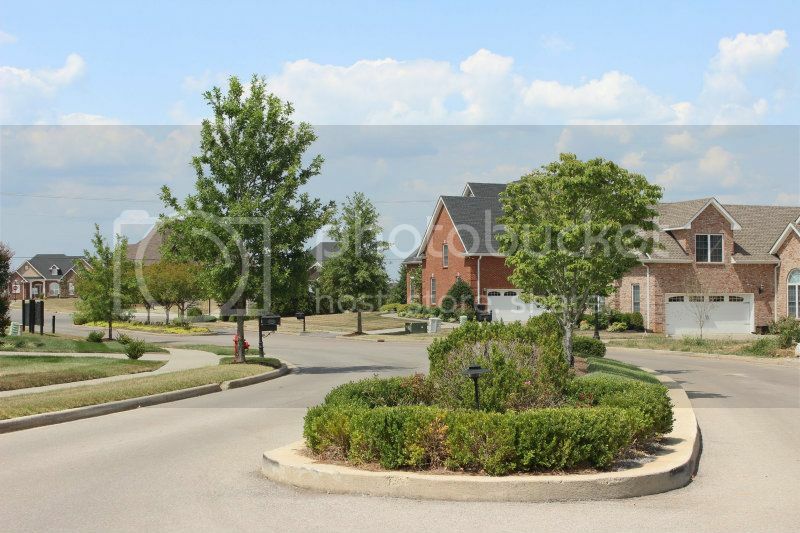 The location is excellent and close to the Industrial Park and I-24. If you commute to Nashville it is only 35 minutes away. If you work Downtown or at Austin Peay State University you drive time is about 20 minutes. There is much to do in Clarksville with lots of music events, festivals and fun places to explore. Building a home in Stones Manor is possible with an approved builder that is on the Guild. The Guild vets builders to be assured their quality meets the standards of the neighborhood and are financially sound. An architectural approval process is in place to qualify plans that will fit in the subdivision's aesthetics. I have plans available and can help with finding you a quality builder. Stones Manor Subdivision has a unique look and has new homes under construction for sale. There are several new and exciting floor plans that will please the most discerning buyers. Have your own plan, you can bring it to see if it will fit in work neighborhood. 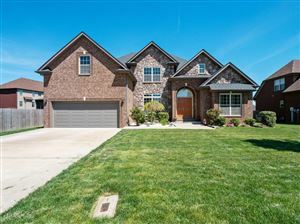 The inside features of the homes are stunning and wow buyers when they take a look. 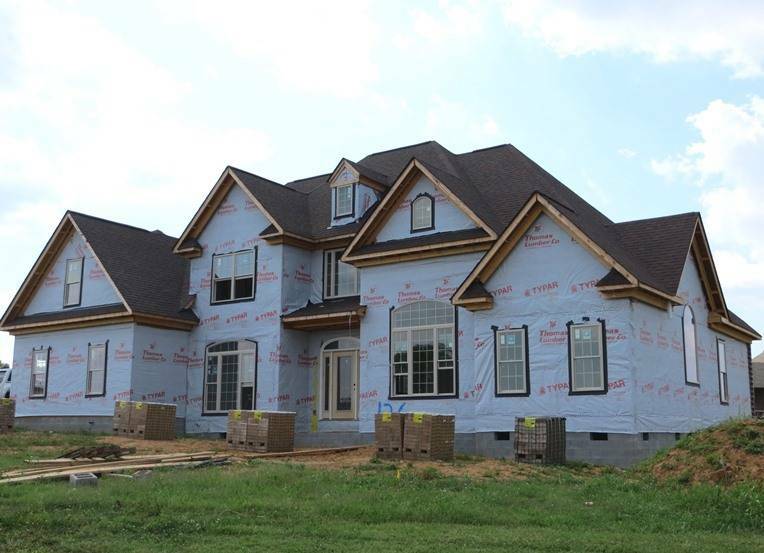 Would you like to see all the homes and lots available in Stones Manor? There are several good lot choices remaining and even some basement lots. Contact me and let me show you the possibilities. Take a drive through the neighborhood and you will be convinced that this is the place to call home.